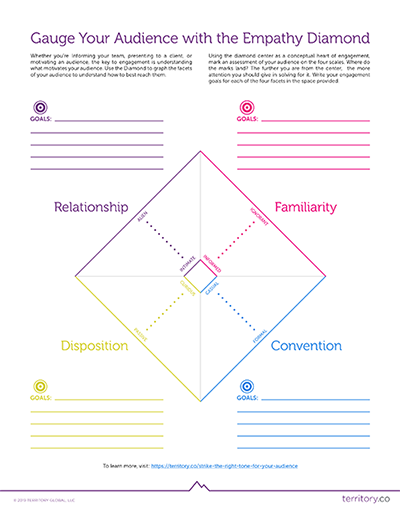 Using the diamond center as a conceptual heart of engagement, mark an assessment of your audience on the four scales. Where do the marks land? The further you are from the center, the more attention you should give in solving for it. Write your engagement goals for each of the four facets in the space provided. Read about how to strike the right tone for your audience—and get more insight into this tool—here: Strike the Right Tone for Your Audience.